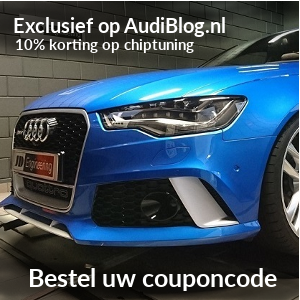 Pes Tuning maakt de 4.2 motor nog fitter en sneller met hun pep talk. De standaard al niet bescheiden 8 cilinder heeft al een vermogen van 340PK voor de S6 en 360PK voor de S8. Met een Stage 1 of Stage 2 komt er al snel 450PK uit en dat had de oude RS6 standaard. Production tooling has officially begun! We will be delivering complete production units in March, 2009. The systems will be available in 2 stages for all of the 5V multi port fuel injected engines which include the Audi S4, A6, A8, Allroad, and VW Touareg. STAGE 1 will be a low boost (5psi) kit with a power increase of approx 20% over stock. The expected retail price is $6,495. STAGE 2 will be an intercooled version with 8psi with a air – liquid intercooler system producing a power increase of approx 30-40%. The intercooled version will retail at approx. $8,495. The base system is designed so that it may be upgraded easily to the intercolled version at any time. The intercooler core is inserted into the top of the intake manifold by simply removing the manifold cover plate. The system will include the intercooler core which is nestled into the intake manifold, a heat exchanger which sits behind the bumper cover, a Bosch high flow pump, innovative brackets to attach the pump to the intake manifold, an OEM quality coolant reservoir/expansion tank, plus all the hoses, fittings, and wiring needed to complete the installation. With the worldwide interest in this product (especially at the price point) we are expecting demand to exceed supply for our initial production run. For that reason we are offering a special promotional offer to those who would like to “secure” the purchase of their kit now. Pre-production orders are now available at the reduced price of $5,995 for the non-intercooled kit and $7,995 for the intercooled kit. A non-refundable deposit of 50% is required to receive this special offer. The G4 design began using 3 company owned vehicles. A 2001 A6 4.2, A 2005 S4 4.2, and a 2006 A8 4.2. While we still own the S4 and the A6. The A8 was sold. We are seeking cooperation of individuals with the following models/years so that we may test fit the system and custom taylor the ECU tuning to vehicles of model years not stated above. Most likely everything will fit perfectly, as the engines are all essentially the same, but we want to be 100% sure. Your cooperation can be your gain as we will be offering free installation to individuals ready, willing, and able to work with us. You can have a supercharger system installed and tuned on your car by PES for a mere $5995! NOTE: Only a limited number of vehicles will be selected so please contact us ASAP to be considered for this offer. Here are few images of what the unit will look like with the intercooler pump in place. The finished unit will have a black crinkle powder coat finish with the tops of the ribs, the PES logo, and “supercharged” machined through to aluminum.